If you’re pooling the pounds and clubbing together to buy a baby shower gift, here are my must-have items which mum and dad won’t want to be without (even if they don’t know it yet!). 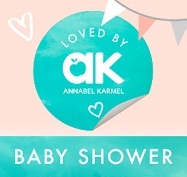 From sleep and play essentials, to prize items that provide baby with the safest ride, here are my top baby shower gifts over £100. 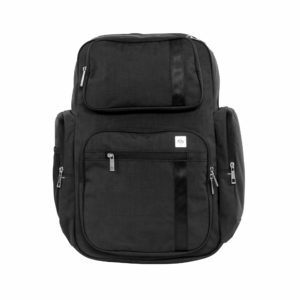 If baby head wetting involved presents, the XY Vector backpack would be the ultimate man gift. Part of a brand new collection from American changing bag brand Ju-Ju-Be, it’s super tailored using the latest fabric technology, yet packed full of hidden features including easy access baby bottle pockets, an ultra-lightweight changing mat. It’s even got a cooling back panel to make daddy daycare a breeze. 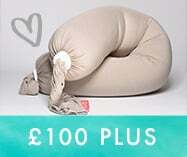 Help baby (and mum) enjoy blissful slumber with the on-trend Sleepyhead Deluxe. By re-creating the womb, this smart, cosy pod will help baby sleep for longer. Plus is comes in an array of super swish designs. It’s also a great place for baby to lounge, rest and play – whether you’re at home or out and about. And if you want everyone pining for your present, accessorise the pod with the new mobile toy arch which will help baby strengthen muscles, fine tune those motor skills and stimulate imagination. 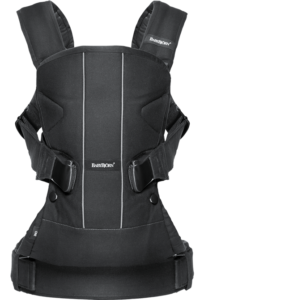 The BabyBjörn Carrier One brings a whole new meaning to hands-free! Ergonomically designed to comfortably carry a growing child, it’s ideal from newborn up to three years. This is a favourite pick as it has varying carrying positions such as the special inward-facing position for newborns that allows you to carry your baby close to your heart and the outward-facing option from five months onwards. A gift of freedom! Expectant mum will be wanting to pack-in plenty of sleep right now, so here’s a clever gift she can start using straight away. 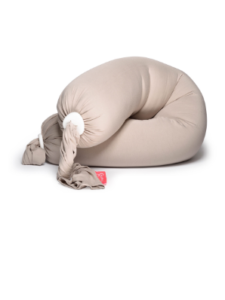 The bbhugme pillow provides all over support during pregnancy to relieve back and pelvic pain, and then comes to the rescue to alleviate those achy nursing necks and shoulders when feeding and supporting newborn baby. 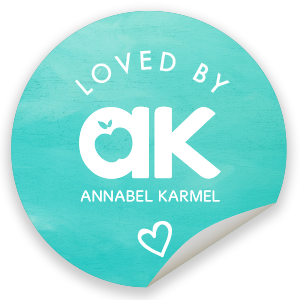 Developed by 3 Norwegian female chiropractors in collaboration with award-winning K8 Industrialdesign, it’s an eco-friendly innovation and game-changing gift. If you know parents-to-be that value their stylish space, then the Tripp Trapp® chair is an iconic, clever piece of furniture that fits seamlessly and stylishly into family life. More importantly, it grows with baby from birth to childhood meaning mama won’t be needing to upgrade any time soon. Ergonomically designed to fit right up to the dining table for all-important shared mealtimes, the intelligent, adjustable seat and footplate positions allow them to sit comfy on their throne for years to come. The only difficult decision will be which colour to choose! With newborns providing a free pass to the night time wide-awake club, the Next2Me Dream crib is designed for winning back some winks. 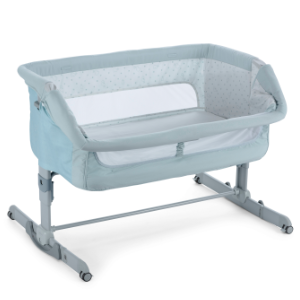 A side-sleeping, standalone and travel crib all-in-one, parents can sleep safely alongside baby and gain easy access for fuss-free night feeds. And with a new rocking mode and 11 adjustable height levels, it’s a dream gift. Put your baby shower host in the driving seat with the BABY-SAFE i-SIZE; the first infant carrier from Britax Römer that conforms to the new Europe-wide car seat regulation ECE R129 (i-Size). Providing safety and comfort for newborns up to 83cm in height (around 15 months), it adjusts and protects a child as they develop and grow. It can be used with one of two bases, including a one-of-a-kind FLEX BASE that allows parents to adjust the angle to an ergonomic, flatter position for baby, keeping them both comfortable and safe on any journey. A vacuum cleaner isn’t your conventional gift, but parents will wonder how they ever lived without the Dyson V8 Absolute cord-free vacuum. 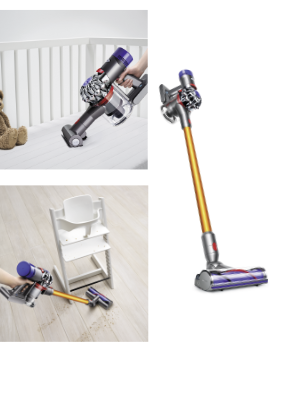 Let’s face it, with a baby or toddler in tow, cleaning needs to be quick and easy and the lightweight Dyson V8 is a game-changer. From discarded peas and sticky cheerios, to major ground-in dirt and fine dust, the super-powerful fade-free suction of the V8 wipes the floor clean with other cord-free dustbusters. And with up to 40 minutes of run time and 50% less noise output than previous machines, you can nip between rooms using stick and handheld modes whilst baby (or mum) is sleeping. Add to the mix a super-hygienic dirt ejector and a state-of the art filtration system to capture allergens, it’s a clean win. Let’s face it, starting a family is an adventure, and the Joolz Geo² is geared up to give them the ride of their life. 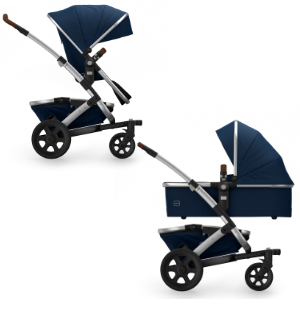 The Dutch certainly know how to do design and this all-terrain pushchair provides a smooth ride on any surface, while the extra-large basket, provides all the storage they’ll need. 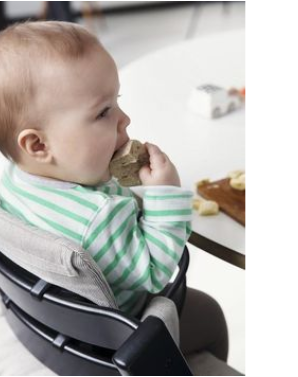 Let baby ride like a boss, and dine like one, as the seat can be used as a highchair when out and about. Plus, the unique one-stop folding mechanism is a godsend. If parents-to-be are expecting twins, or planning a second baby, the genius modular design of the Geo² means that a second cot or seat can be added.